Donald L. Bren was born on the 11th May 1932 in Los Angeles, California USA, and is a businessman, best known to the world as the owner of the Irvine Company, which is a real estate investment firm. His career has been active since 1958. Have you ever wondered how rich Donald Bren is, as of mid- 2016? According to authoritative sources, it has been estimated that Donald`s net worth is as high as $16.6 billion, earned through his successful career in the real estate industry. Donald is of Irish ancestry through his mother, Marion,, while his father, Milton Bren, was a successful film producer, and is of Jewish descent. When Donald was 16, his parents divorced, and in the forthcoming years, both of them remarried. When it comes to his education, after high school, Donald enrolled at the University of Washington, from which he obtained a bachelor’s degree in business administration and economics. After college, Donald joined the United States Marine Corps. As early as 1958, Donald built his first house, when he took a loan of $10,000, founded the Bren Company, and the house was built in Newport Beach. In 1963 he joined with two other real estate developers to plan and develop the city of Mission Viejo, California, firstly starting the Mission Viejo Company and purchasing 10,000 acres. Donald served as the president of the new-found firm until 1967. In 1970 Donald`s net worth increased by $30 million, when International Paper bought his Bren Company, however, only two years later, Bren bought the company for $22 million, when the American economy was hit by recession. Five years later, Donald launched another successful venture; he bought shares of the Irvine Company, with several other investors, and little by little started buying-up the whole firm. He succeeded in this endeavour after 19 years, and became the single owner of the firm. Since then, his career has gone only upwards, and so has his net worth. Under his management, Irvine Company has built 480 office buildings, 125 apartment communities, and 41 retail centers, with a focus on Orange County, California, however, Donald has managed to extend his building empire to Los Angeles and San Diego. 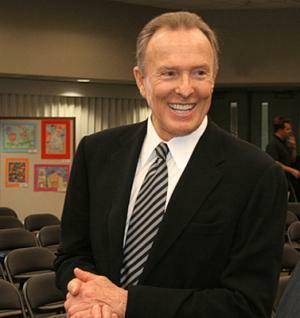 Thanks to his accomplishments, Donald has received several prestigious awards and recognitions, including being named Southern California’s most powerful and wealthiest person in 2006 by the New York Times; University of California Presidential Medal in 2004; and General Leonard F. Chapman Medallion given by the Marine Corps University Foundation, among many other awards. Regarding his personal life, Donald has three marriages behind him; his first was to Diane, with whom he had three children. His second wife was Mardelle Bren(m. 1977), and they had one child. His third wife is Brigitte Muller, with whom he has also one child. Donald has three more children from other elationships. Donald is one of the top ten philanthropist; his donations exceeds over $1 billion to various causes, including education, conservation, research and other categories. Some of his most notable donations include $200 million to support programs in K-12 public schools and higher education institutions in Southern California, and a $2.5 million commitment to the Burnham Institute for Medical Research in La Jolla, California, among others. Bren is a Republican and has supported Pete Wilson’s Senate and gubernatorial campaigns, but has also contributed to campaigns of the Democrats, backing Senator Dianne Feinstein.